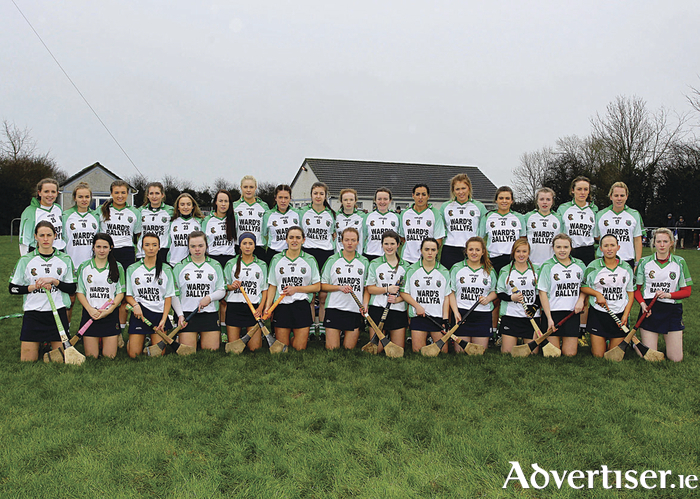 Sarsfields Camogie Club will be aiming for their first All Ireland camogie title this Sunday when they clash with Slaughtneil from Derry at Croke Park in the AIB All-Ireland Camogie Club Senior Championship final (3.15pm ). The New Inn, Bullaun, and Woodlawn outfit made it to the showpiece occasion at GAA HQ after a dramatic late 45 from Niamh McGrath secured a 0-8 to 0-7 victory over Thomastown of Kilkenny in the All Ireland semi-final at the end of January. If Sarsfields manages to bring the Bill Carroll Cup across the Shannon it will be first time a Galway team has won the championship since 2002 when Pearses completed their famous three in-a-row. It has been an historic year for the east Galway club which is managed by Michael 'Hopper' McGrath as the team secured its first Galway Camogie championship since its formation in 1981, after a 1-13 to 1-8 replay success over Mullagh. McGrath, who is a former winning Galway hurling club championship captain described Sarsfields' journey to Croke Park as "the stuff of dreams". Sarsfields opponents, Slaughtneil are also in their first All-Ireland Camogie Club Championship final after the Derry side defeated Burgess Duharra in a titanic tussle which ended 3-8 to 3-6. Camogie Association president, Catherine Neary, said the level of dedication and commitment from both Sarsfields and Slaughtneil in the pursuit of All-Ireland glory must be acknowledged and commended. "The club championships are undoubtedly one of the toughest competitions to win and occupy a special place in the hearts of all Gaelic Games followers. The club is where it all begins and on March 5 communities will unite behind their sides as they represent their parishes on the biggest sporting stage in Croke Park on what is a very special occasion." The final will be broadcast live online via aib.ie/gaa and on the AIB YouTube channel for the first time. Tickets for the AIB All-Ireland Camogie Club final on March 5 can be purchased from www.tickets.ie and outside Croke Park on the day of the final.